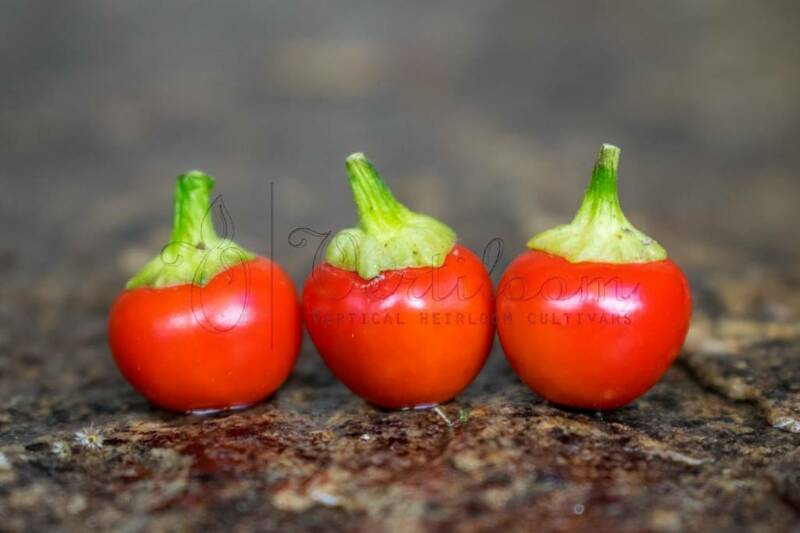 Capsicum annuum, beautiful ornamental pepper from Italy. 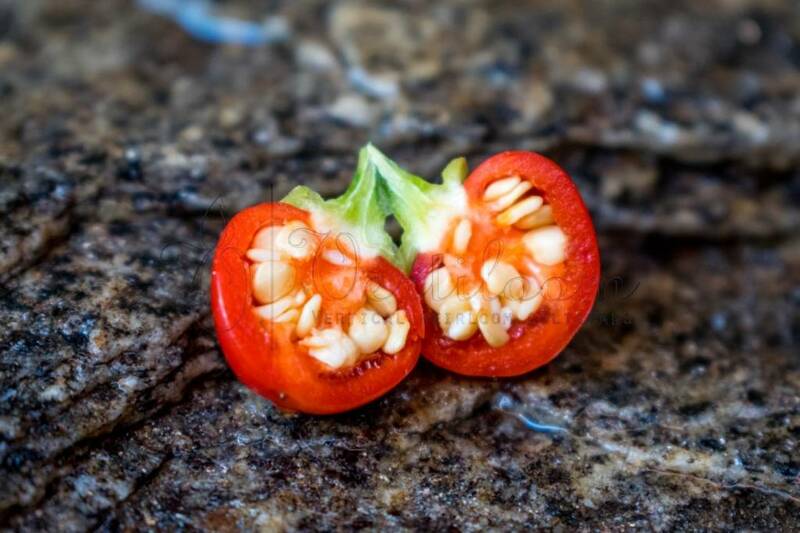 Small round peppers that ripen from white / yellow into red. The fruits grows upright in clusters. Selected on beauty but edible, average heat. Compact dwarf plants with a very high decorative value. Easy to grow in pots.